It is that time of the year once again "Time To Reflect" on everything and everyone!! We would love to see what you Reflect on this time of the year!!! 1. A minimum of (5) Freebies must be included in your image along with Links to the freebies you have used. For an item to be considered free it must be offered as a freebie for the whole month. The exception to this rule is all Daz Bi-Weekly Freebies will be allowed throughout the entire month in which they are free as well as the month following their release as a freebie (For a total of 2 months). Also, if a freebie is broken down into multiple downloads/links/parts (IE like if the freebie is broken down into 3 zips etc...)it only counts as 1 freebie, not 3. 2. There will be a Maximum of 5 purchased items. 4.Postwork is allowed but you MUST include a before and after Postwork versions of your entry in the Entry Thread. 5. All DAZ 3D Programs are allowed (IE Bryce, Carrara, Daz Studio and Hexagon) plus Poser for the contest. 7. You may enter a Maximum of 4 Entries per month. 8. You may edit your entry as much as you like in the main thread but once it is posted to the "Entries" thread it may not be further modified. Also, if you edit or add things, be sure you update any links or freebie changes you make. This Freebie Challenge will end Friday November 30th @ 23:59 Daz time. If you have not recived your prize, or have any questions, plz contact (ME) Saphirewild in a PM here on the forums. Post your images and freebie links in the Main Thread for link verification. Once the links are verified, you can post your image and links here. All elements in this picture are free. The storm had sent her scrambling for any shelter available. Here, in this dilapidated old house, she paused to be thankful for the things -no, luxuries - she was accustomed to. I tweaked a few materials and added/edited lights here and there, and used dForce on the dress. Used a plane primitive for the floor. All done within Daz Studio. No post work except for the watermark. A lovely spread in the gorgeous jewel-toned colors of nature in autumn! Time to reflect on all that we have, and all that we can give. I tweaked a few materials and added/edited lights here and there, and used dForce on the dress. I posed V4 myself, and tweaked the expression freebie I used. Used a plane primitive for the background and floor. All done within Daz Studio. No post work except for the watermark. 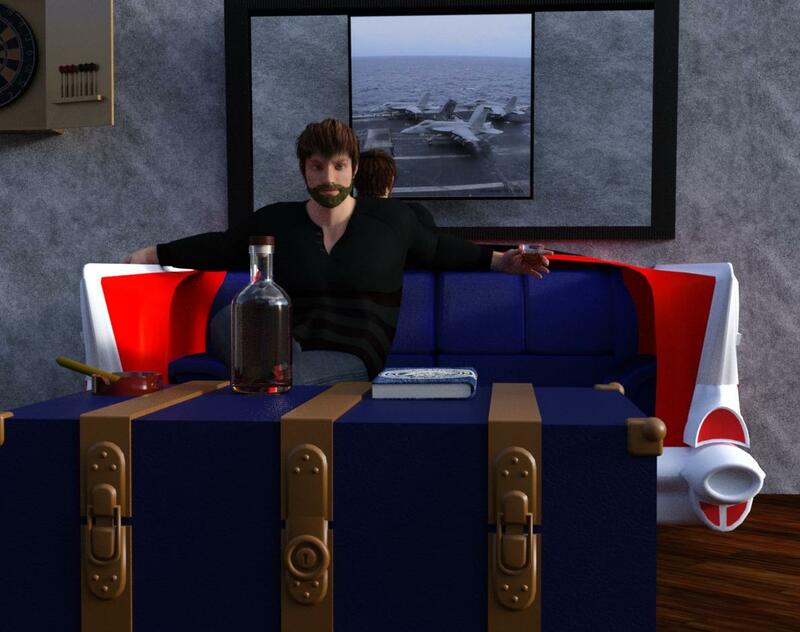 Retired Navy Sailor taking a moment to “reflect” and relax after a long military career. 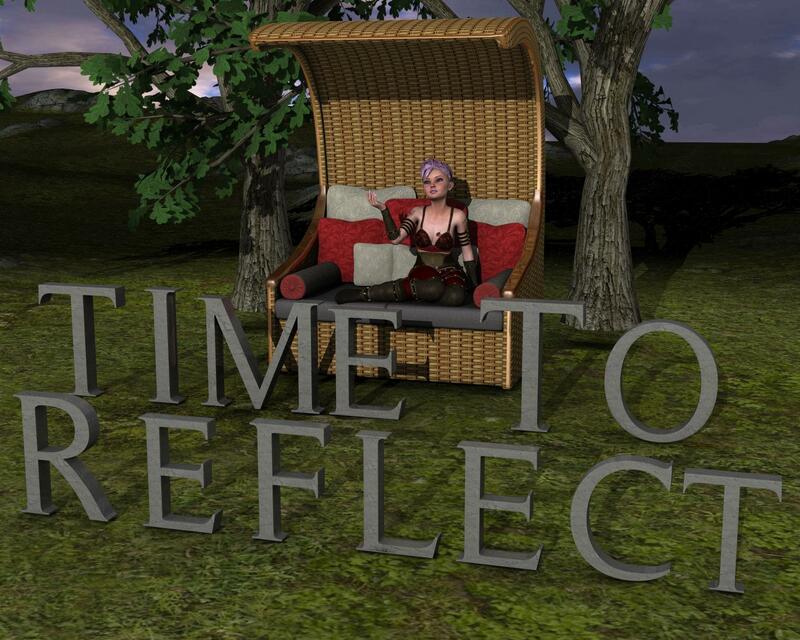 DAZ 3D Art Freebie Challenge November 2018 - "Time To reflect"
CONGRADULATIONS TO ALL THE WINNERS!! "Please contact KindredArts with your daz email address in order to speed up the prize payout process"
Thank you so much! And congrats to ankromt and Keeker as well. 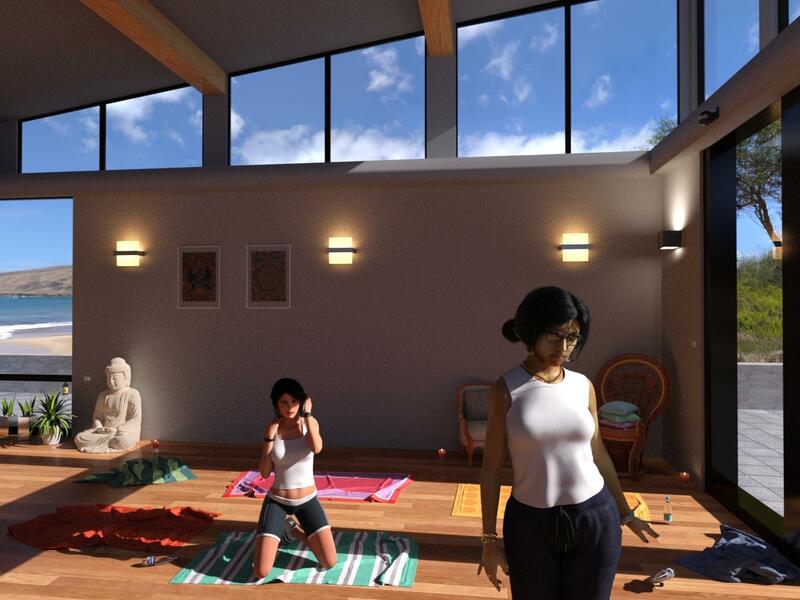 Lovely renders! Wow, I cannot believe it!!! Thank you very much! Congratulations to both Faeofthe3rdDimension and Keeker on their beautiful works of art! Well done to all entrants. Thank you for participating. and a big round of applause! Thanks all and congrats to my fellow winners.